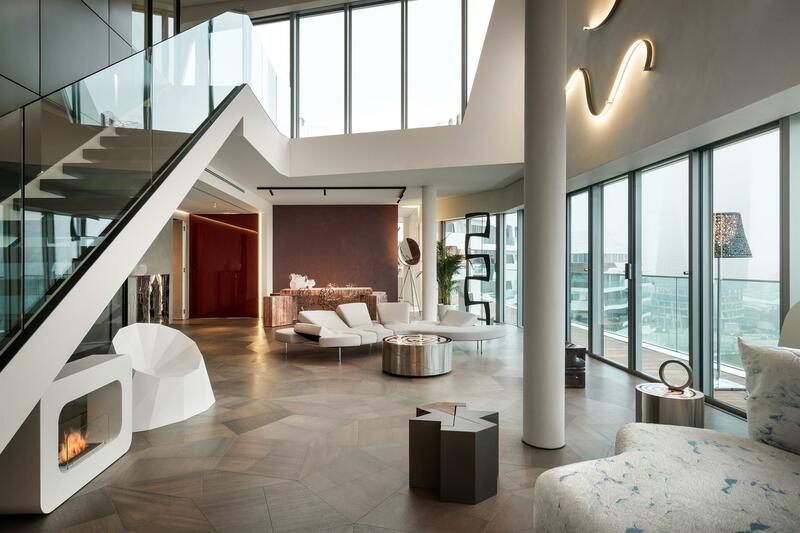 Antrax IT, Italian brand of design heating systems and radiators, has been chosen for Penthouse One-11, a luxury apartment designed and built as sample by Milan Contract District in the residences designed by Zaha Hadid. In this elegant penthouse of more than 300 square meters some of the best interior décor brands have been involved to create a very sophisticated living experience, with high quality services and tailored solutions. Antrax IT interprets this new and ambitious project of interior design by responding with its refined heating systems to the sophisticated aesthetic and functional needs of Penthouse One-11. For the project the Italian company supplied its Series T and Tavola radiators becoming distinctive elements in the architecture of the space, able not only to heath but also to enhance the environments. The T Series radiators are iconic models designed by Matteo Thun and Antonio Rodriguez, while Tavola is an heating element with a minimal and geometrical look designed by Andrea Crosetta.